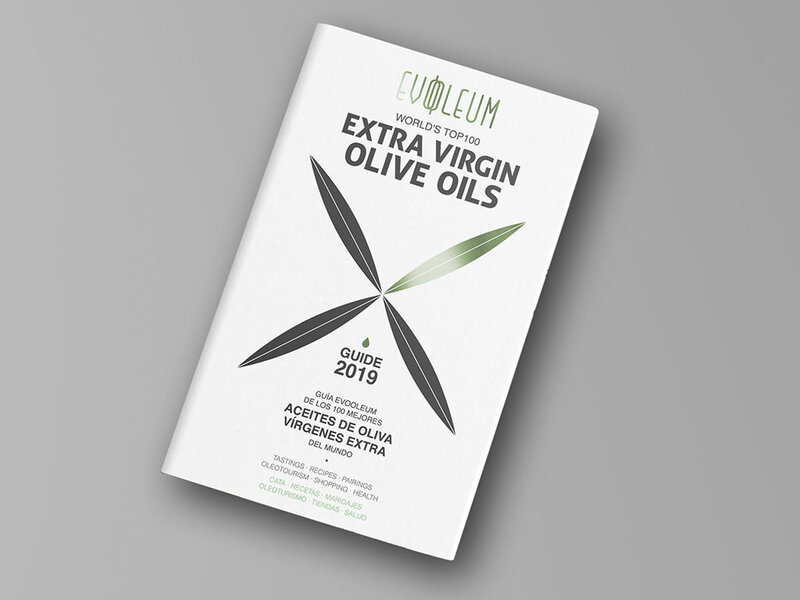 Mercacei, the publishing company that has set the standard in the olive oil sector, with over 20 years of experience, pubishes the EVOOLEUM Guide of the world’s best 100 EVOOs, known as the EVOOLEUM Awards, International Prizes for Quality in Extra Virgin Olive Oil, organized by Mercacei and the Spanish Association of Olive Producing Municipalities (AEMO, in its Spanish acronym). The EVOOLEUM World’s Top 100 Extra Virgin Olive Oils Guide, -which is printed in English and Spanish and has its own app, available in the coming days– introduces each year the exclusive TOP 100 EVOOs, or in other words, the best 100 extra virgin olive oils in the world, according to the results obtained in the EVOOLEUM Awards, International Prizes for Quality in Extra Virgin Olive Oil. A competition that, in addition to standing out for its absolute rigor and reliability, it boasts having the most spectacular jury, or tasting panel, that currently exists, and possibly the best group of international tasters never before gathered. 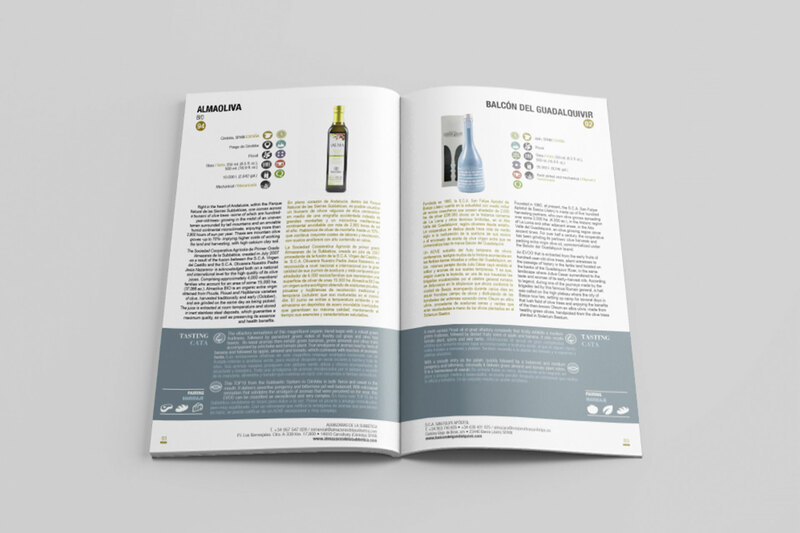 Targeted at consumers around the world, olive oil professionals, the Horeca channel and, in general, to all those interested in discovering or delving into the exciting world of EVOOs, the Guide is to be published annually with a 10.000 copy print-run. It includes a complete fact sheet for each of the 100 extra virgins (score obtained in the contest, its olive varietal(s), the location of the olive grove, the producer’s contact information, quality certifications, etc…), accompanied by a picture of the bottle and detailed tasting notes describing the organoleptic characteristics of the juice and suggested food pairings. Its undeniable allure is reinforced by a modern and cosmopolitan image, of impeccable aesthetics, that continues along the lines of Olivatessen by Mercacei, Edimarket Editores’ innovative and award-winning publication in English that pays tribute to extra virgin olive oil culture and puts the accent on Premium or high-end EVOOs, designed by the prestigious studio in Úbeda, Cabello x Mure. In order to achieve an easy and intuitive read, the EVOOLEUM Guide has created more than 30 symbols and icons that make reference to the score obtained by each juice, its origin, the Protected Designation of Origin (PDO) or Protected Geographical Indication (PGI) to which it belongs, the variety or varieties of olive from which it is made, the volume of production, the harvesting method and time, the uniqueness of the environment where the grove is located, the cultivation and plantation systems, tasting and pairings; without forgetting those juices that are certified Kosher and Halal. Furthermore, the Guide also includes the 9 EVOOs that have won the Packaging EVOOLEUM Awards in the categories of Best Design EVOO Premium, Best Innovative Design and Best Design In Retail, and are given a specific and differentiated spotlight, thus recognizing the important creative revolution that has come about in this sector in the last few years. A pioneering contest in its genre whose jury -composed by fashion celebrities- certainly lives up to the magnificent containers that dress the best EVOOs in the world. The EVOOLEUM World’s Top 100 Extra Virgin Olive Oils Guide is available at quality points of sale – bookstores and department stores, gourmet shops… – and the Horeca channel. It’s worth recalling that the Edimarket Editores publishing group, to which Mercacei belongs, was already a pioneer in the year 2000 with the launching of the Mercacei Guide for Spanish Extra Virgin Olive Oils.